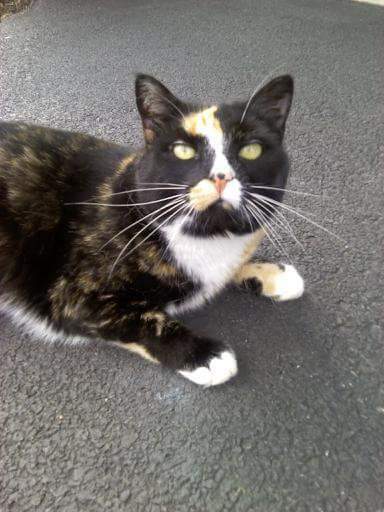 Cali is a 12 year old calico cat. She acts more like a dog than a cat. She goes to the door to be let out to the bathroom. She has a beautiful white belly and 4 white paws. Kim Starr 717.484.0017.